The EMS 4.0 workflow utilizes data analytics to provide continuous assessment at each stage in the Design to Delivery workflow, with feedback provided at each stage. Companies must deliver good products to their customers; defect free and at minimum cost. The challenge is how to detect, or prevent defects from occurring, so that only good products are shipped to the customer. 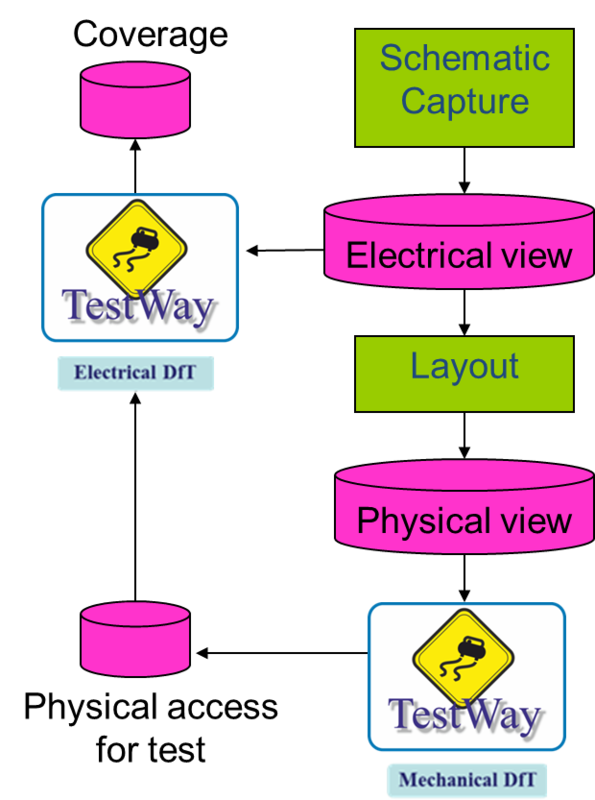 Traditional commercial DfT tools work only from the layout stage, which is too late in the process. Design data must be analyzed at the earliest stage in the product life cycle by importing schematic data. Electrical DfT rules violations should be identified and rectified prior to commitment for board layout in order to prevent costly design re-spins. These rules can include standard and customer’s specific checks, relating to company requirements. With a centralized knowledge database, the same problems will never be repeated! 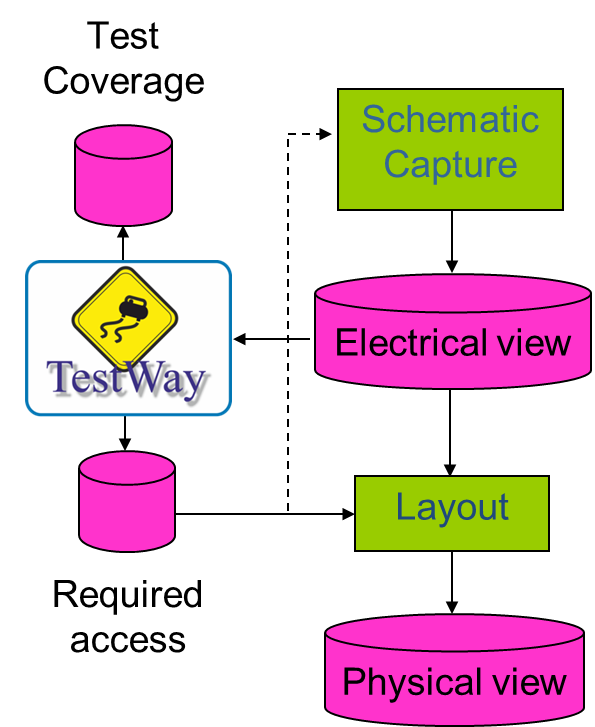 Test point requirements must also be identified pre-layout, during the schematic capture stage. This reduces the need for unnecessary test access, saving on PCB real estate, particularly on high density boards. 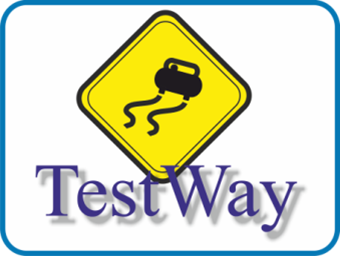 TestWay simulates the test strategy including any combination of inspection and test machines, delivering the highest test coverage. 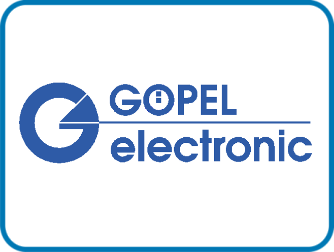 This unique combination provides electrical rules analysis, test point analysis, test strategy optimization and test cost modeling, based purely on schematic information. This, in turn, provides valuable layout guidelines that can be used to optimize the Printed Circuit Board layout. 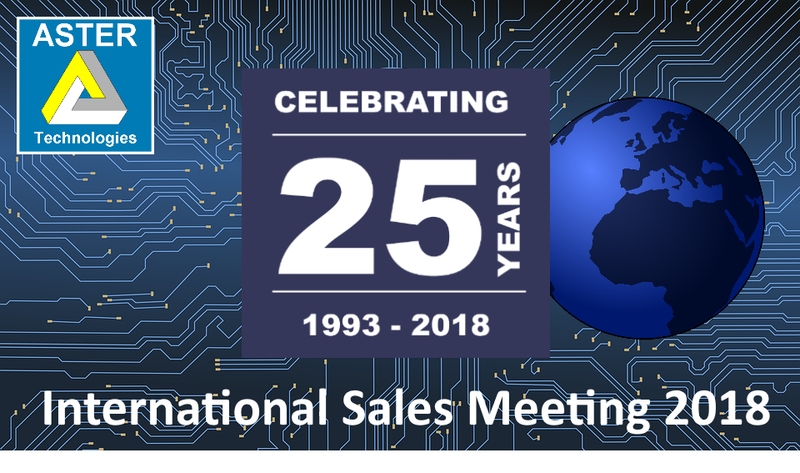 Once the PCBA layout is completed, a mechanical DfT analysis must be conducted to confirm the nets that require test access are not compromised by solder mask, component outline, adjacent probes constraints etc. The EMS 4.0 workflow enables tremendous benefits in time-to-market, cost reduction, quality improvements. Realize your digital transformation now with the ASTER digital suite including TestWay and QUAD.